Beat butter, sugar and oil in a mixing bowl until creamy. Add confectioners sugar, eggs, and vanilla and mix well. Add cream of tarter, salt, baking soda, and flour and mix until thoroughly combined. Cover cookie dough and chill at least 2 hours. Roll cookie dough into small balls approximately one inch in diameter. Dip in sugar and place on a baking sheet 2 inches apart. 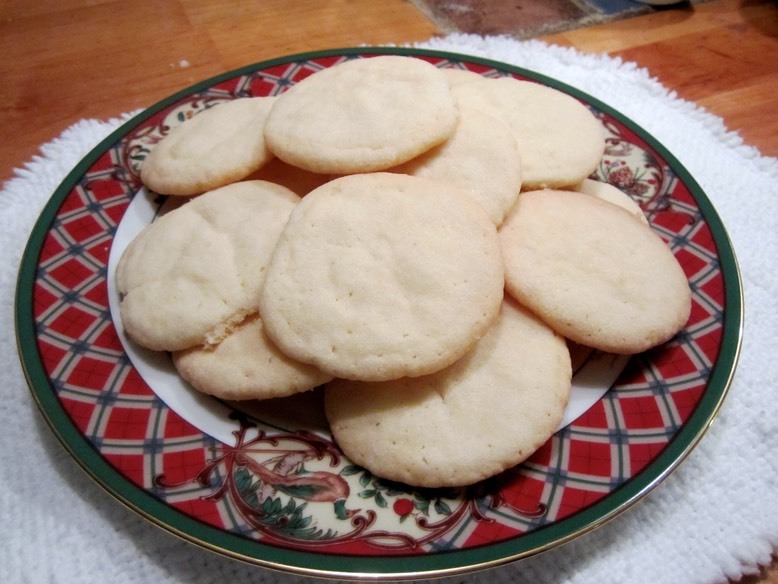 Dip a glass in sugar and flatten balls to ½ inch cookies. Bake for 12 minutes or until lightly browned at the edges. Let cookies cool on baking sheet for a minute or two. Remove cookies to wax or parchment paper to cool. Makes about 75 cookies, but you’ll eat at least 4 before they’re even cool!